During a course in Rhinologic Medicine presented by Dr. Maurice H. Cottle at Johns Hopkins Hospital in 1954, it was decided that the then-fledgling interest in Rhinology should be encouraged and continued within the framework of an organized professional society. It was in this milieu that the American Rhinologic Society was formed. Initially, Society focused upon the evaluation and treatment of problems related to the nasal septum and external bony pyramid. Both functional and cosmetic factors were emphasized. The group soon evolved to include the evaluation and management of diseases of the paranasal sinus problems. More recently, the Society's members have emphasized endoscopic sinus surgery, including technical advances, new applications, etc. Maurice H. Cottle, M.D. (1898-1981) founded the American Rhinologic Society in 1954. After his death in 1981, the ARS Newsletter dedicated an entire issue to its founder. In the fall of 1944 with the cooperation of the Illinois Masonic Hospital, the Cook County Graduate School of Medicine, and the Institute of Medicine of Chicago, Maurice Cottle, M.D. presented a series of lectures, as well as surgical and anatomical demonstrations to the otolaryngologists of the Chicago area. Shortly later, Dr. Cottle developed a more formal course that attracted specialists from many parts of the United States. 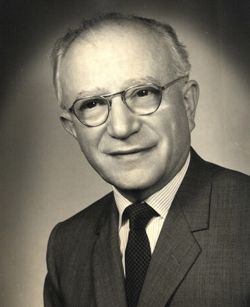 Dr. Samuel Foman led this early effort, which was a continuation of his pioneering teaching program started in Boston and New York some time previously. Gradually, it became increasingly accepted that rhinoplastic procedures were a most important addition to the armamentarium of doctors dedicated to the health and welfare of the human nose. By 1949, interest had developed sufficiently to support a course dedicated to the anatomic and physiological aspects of the nose as well as its aesthetic aspects. Dr. Cottle presented this course at the Illinois Masonic Hospital with the cooperation of of Dr. Ralph H. Riggs, Dr. Roland M. Loring, Dr. James Chessen, and Dr. George G. Fischer. Since then similar courses, conferences, lectures and seminars have been given throughout the United States. These presentations were known as the "Cottle Seminar" or "Cottle Courses". 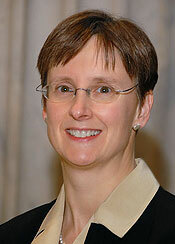 Of the 39 charter members, 18 would eventually go on to serve as presidents of the ARS. 38 of the 39 would go on to be awarded the Golden Head Mirror, our society's highest honor, awarded for meritorious sharing in the service of Rhinology. The first 30 years of our society were lead by many of these founding members and not surprisingly, many of our subsequent leaders were mentored by these men. Dr. Ralph Riggs was from Shreveport, Louisiana and served as president in 1955. Dr. Fred Stucker, also from Shreveport served as president in 1992 and secretary subsequently. Many of these photos are from The first course of the American Rhinologic Society at Yale in 1957 which followed the 6th International Congress in Otorhinolaryngology in Washington, DC. From the Society’s inception, Dr. Cottle continued to teach at many ARS meetings and ARS sponsored Post-graduate courses through and including the 1970’s up until his death in 1981. He was instrumental in the founding of both the European Rhinologic Society in and the International Rhinologic Society in Kyoto, Japan in 1961. In the 1980’s rhinology witnessed a dramatic rebirth both in the United States and abroad through the lens of the rigid nasal telescope. Although Hirshman performed the first endoscopic sinonasal examination with a modified cystoscope in 1901, it was not until 1978 when Professor Walter Messerklinger of Graz Austria advocated use of the rigid telescope for sinonasal diagnosis and limited surgery for the treatment of rhinosinusitis. Dr. David W. Kennedy recognized the key role the telescope would play in the diagnosis and treatment of sinonasal disease and brought this technique to the United States after attending a presentation by Professor Messerklinger in the former Yugoslavia. 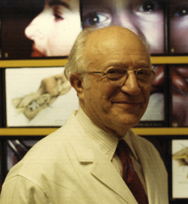 Dr. Kennedy played a key role in developing and disseminating this technique and his tireless teaching and devotion to Rhinology and the ARS was honored at the 50th Anniversary Meeting of the American Rhinologic Society in September 2004 in New York, NY. At this Golden Anniversary Meeting he delivered the First Annual David W. Kennedy Lectureship established in his honor and now fully endowed and one of the highlights of the Annual Fall Meeting of the Society. The membership of the ARS has grown rapidly during the more than fifty years of its existence. Although the society continues to study nasal structure and function, much of our present focus is on the diagnosis and treatment of rhinosinusitis and other sinonasal disorders. The more recent expansion of the specialty into endoscopic resection of skull base and intracranial lesions In addition, over the past 15 years, our society has been a leader in advocating for our patients and the care provided by their physicians in the ever-changing health care environment in the United States. The Society has remained an organization driven by dedicated physician scientists who volunteer their time and resources to enable this society to continue its mission to disseminate knowledge in the field of rhinology.